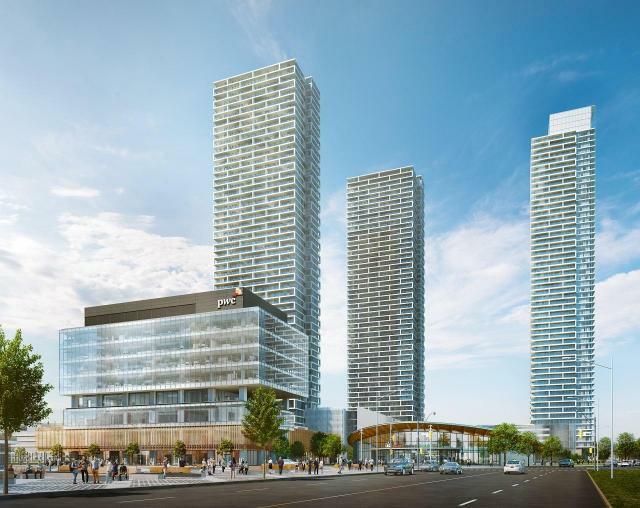 Transit City is the first residential complex to be developed at SmartCentres Place -- a trio of 55-storey condominium towers with over 1,700 units. Lobby design in first phase to include a BUCA-branded restaurant and BAR BUCA to be operated by King Street Food Company -- the first BUCA-branded restaurant concept outside of downtown Toronto. Amenities for residents include a membership to the new 100,000 square foot, purpose-built YMCA, adjacent to Transit City.